Obituary for Ralph W. Sauders | Sheetz Funeral Home, Inc.
Ralph W. Sauders, 95, formerly of Church Street, Mount Joy, passed away on Tuesday, July 31, 2018 at Moravian Manor. Born in Florin, he was the son of the late Ralph and Ruth (Shelly) Sauders. 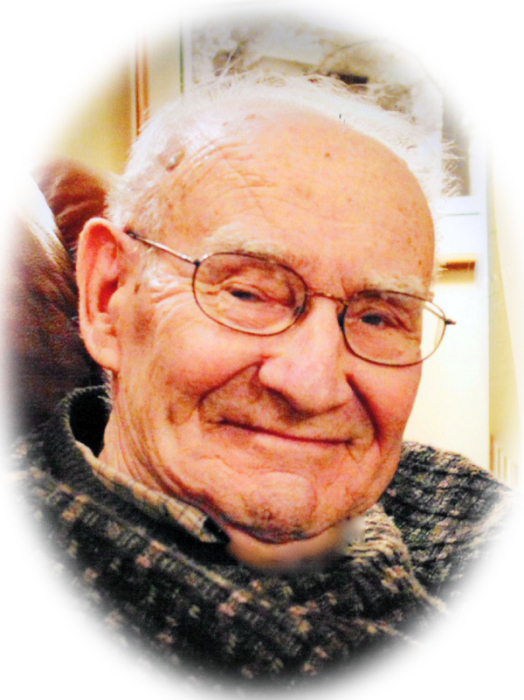 Ralph was the husband of the late Emma M. (Derr) Sauders who passed away on January 16, 2012. Ralph proudly served in the United States Army during WWII. He retired from Turkey Hill Dairy and previously retired from RCA. After retirement, Ralph worked as a Courier for Engle Printing. He was a member of Glossbrenner United Methodist Church and the Mount Joy American Legion Post 185. Ralph is survived by a daughter, Mary Jane, wife of Glenn Filler, Lancaster; two sons, Bob, husband of Debra Pennell Sauders of Landisville and Bill, husband of Joyce Gilger Sauders of Lancaster; his eight grandchildren and thirteen great grandchildren; a great great grandchild; a half-brother, Frank, husband of Love Eichler of Mount Joy; and a half-sister, Norma Jean, wife of Wilbert Derr of Lancaster. A funeral service honoring Ralph’s life will be held at the Sheetz Funeral Home, Inc., 16 East Main Street, Mount Joy on Friday, August 3, 2018 at 1 PM. Family and friends will be received at the funeral home before the service from 12 noon to 1 PM. Interment will follow at Camp Hill Cemetery, Mount Joy. In lieu of flowers, memorial contributions may be made to Glossbrenner United Methodist Church, 713 Church Street, Mount Joy, PA 17552 or Moravian Manor, 300 West Lemon Street, Lititz, PA 17543.